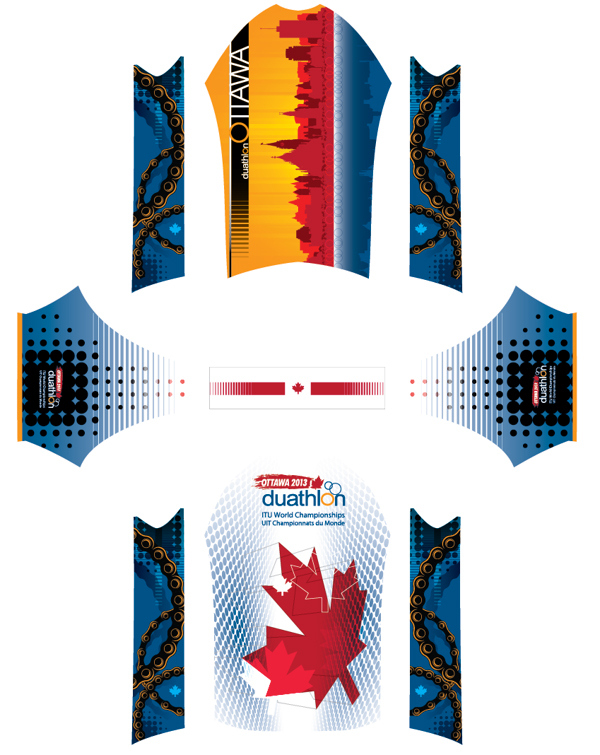 Professional cycling team jersey design for the Ottawa Duathlon, an international cycling event held in Canada's capitol city. C4 Sports is a leader in International High-performance cycling apparel. I was commissioned to develop a series of striking designs for the Ottawa Duathlon.